About a 20 minute drive from Kew (halfway between Taree and Kempsey) is Swans Crossing. 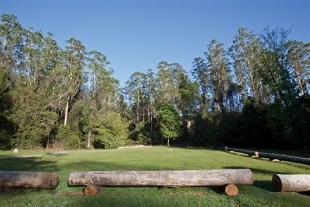 Popular with locals and visitors alike, this camping and picnic area in Kerewong State Forest is set on former farmland. The Swan family ran a dairy and beef property on the site for many years, including clearing the forest and establishing grasses for the stock. This continued until 1964 when the area became State fores and was regenerated as native forest including hardwood plantation areas. Swimming is a popular activity in the nearby shallows of Upsalls Creek. Longworths Tramway Heritage Walk is located a short drive away, with other walking tracks leading off from the site including Cascade Walking Track. Caravans and camper vans are welcome at Swans Crossing. 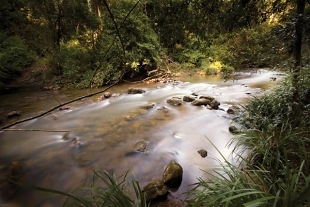 Located in Swans Crossing, this 600m walking track takes visitors through beautiful native forest. Historic Longworth's Tramline is a short distance form Swans Crossing.